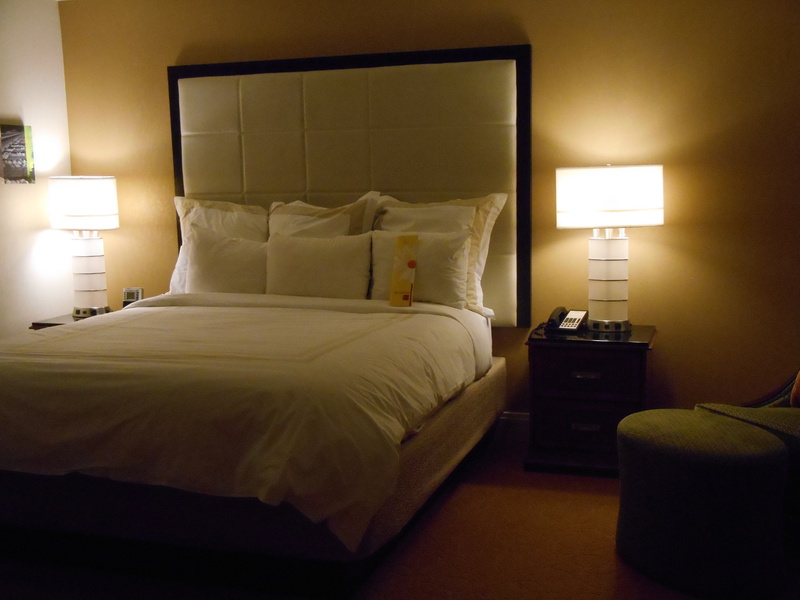 It is no secret that I absolutely love the Marriott Rewards program. Despite what many other bloggers say, I think it has a lot to offer and is a great loyalty program. And during a recent stay I had with Marriott only validated that notion. Recently, I spent a few days gallivanting through the history, culture of Boston, where I spent a few nights at the Marriott Boston Quincy. 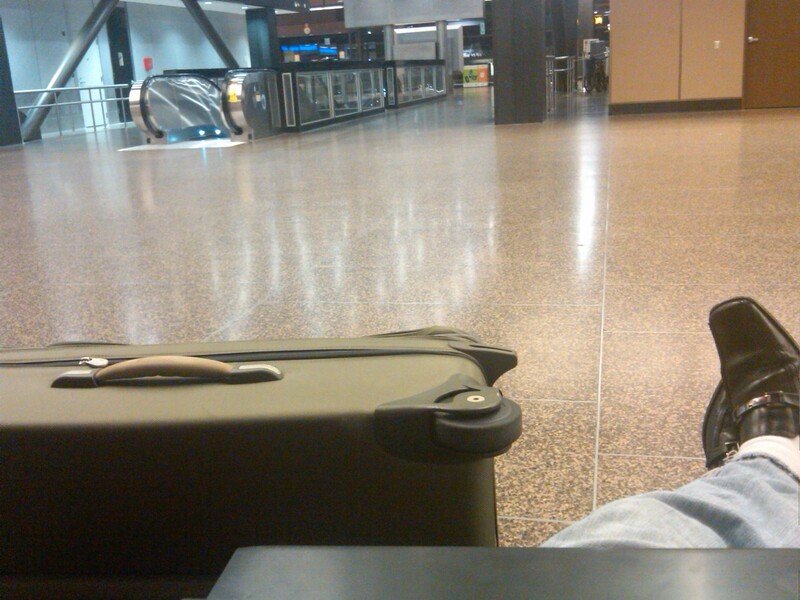 I arrived from a rather late flight, and didn’t make it to the hotel until about 1 AM. While no one was currently available at the desk (I wouldn’t blame them), I rang the bell and Yvonne was quickly available to help me. I handed her my ID and credit card, with my Marriott Gold Elite status card conspicuously between the two, as I always do at check-in. While she was pulling up my reservation I asked her if she by chance any suites were available. A funny moment ensued, as she said that they had a number of snacks available by the desk. I clarified that I was talking about the type of room, and she apologized as she was in the midst of her mid-term exams. Given the late hour I didn’t expect one, but it never hurts to ask—and she said that the Executive Suite was available! Despite the confusion over “suites” I could tell she really cared and did a commendable job, especially given the late hour and the stresses of her academic studies. I certainly was impressed with her customer service skills and willingness to help. One of the great things that make Marriott such a rewarding program in my opinion is they are consistently willing to go above and beyond, and she had certainly done that for me. And suite upgrades for elites are certainly a perk of the Marriott Rewards program, but she was extremely courteous and customer-focused, which left an impression on my despite the late hour. I wanted to show appreciation for exceptional service, so I offered her a tip. She declined my offer by saying “I’m just doing my job!” I am not sure what Marriott’s policy is for receiving tips within the US, but this may have been why. She also made sure to hand me a set of breakfast vouchers as the Club Lounge would not be open that weekend, and I headed to my Suite on the 7th Floor. 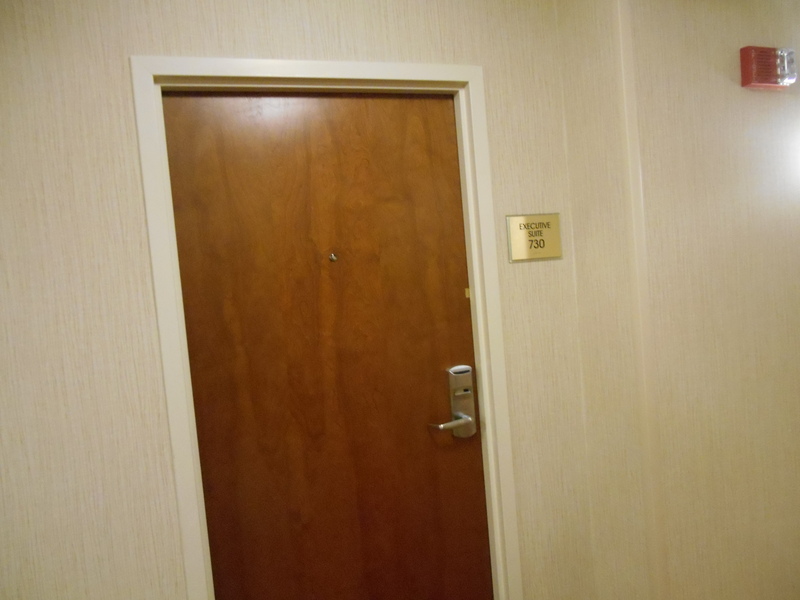 The Executive Suite was situated across from the Elevator at an angle between the two perpendicular ends of the hotel. Further on back and to the right, there was a couch, beside another TV. Angled to the left between the two TVs laid the entrance to the bedroom. To the right of the bedroom area was a desk and chair, across from the Bed. Further to the left was yet another additional TV, followed by a closet across from the second bathroom. In truth, I realized as soon as I set foot in the suite that it was a bit ridiculous. After all a sofa, two bathrooms, three TVs, and 10 chairs seemed to be a bit much for just one person! That said, it was quite nice to be able to spread out and get some work done. 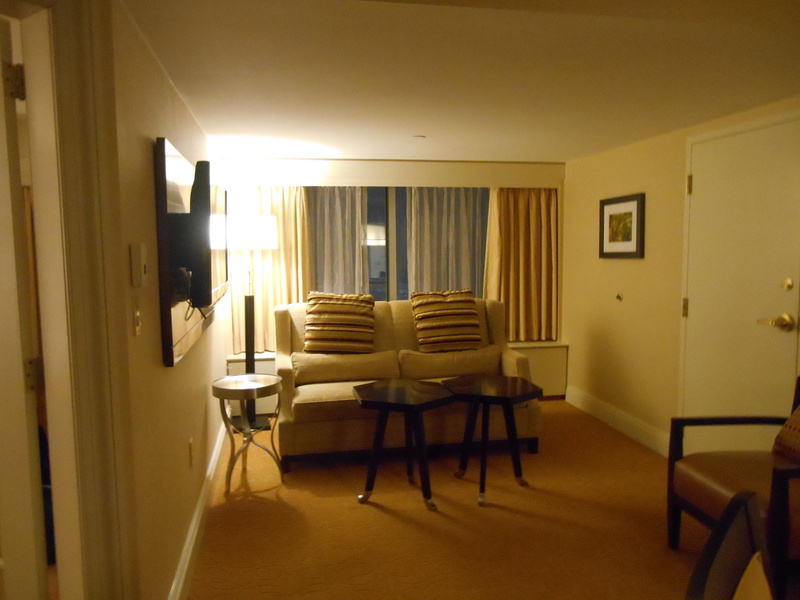 It was a perfect reprieve from the busy streets of Boston, courtesy of Marriott’s friendly, courteous service. In fact, I thought the service was quite commendable and that Yvonne should be recognized. In that same way that I feel it is my prerogative to report when a program doesn’t do well, I feel compelled to brag on a program–and specific agent, so I will definitely pass this along to my contacts within Marriott! I want to use miles/points for two to get to and from Antarctica. What airline is going to be my best bet for this? I was asked a rather intriguing question the other day and I thought it would make a great blog post. The question? How can I travel to Antarctica? What’s the Best Way to Get to Antarctica? After much research, I have found out that there is no easy way to answer this question. There are many factors to weigh before making this flight. Question #1 – Where Am I Leaving From? There are several different destinations to leave for Antarctica. While this list is not complete, it does list the major cities from which you can fly. Question #2 – How Do I Want to Travel? There are many options for traveling to Antarctica. The most common way is by sea. There are also a few options for flying and landing on a air carrier that will then complete the journey by sea. Question #3 – How Long Do I Want to Stay? Do you want to see Antarctica without having to endure it’s harsh conditions? There are several options that are available for flying tours. While this may not appeal to everyone, doing so would be the most comfortable way to do so, in my opinion. And one of these provides a very, very unique experience–I’ll just leave it at that! Would you rather stay overnight? There are several different groups that provide travel and then a camp like experience. Want to explore Antarctica? No problem! There are options for this as well. As you can see, there are several unique options for travel to Antarctica. Stay tuned, as further posts will delve deeper into these options! The FAA announced today that handheld portable electronic devices can be used gate to gate, and do not need to be powered off during takeoff and landing. The application of this will be carried out on an airline by airline basis, but this policy is expected to be rolled out by the end of this year. A important note is that this precludes the use of laptops, as they are considered large enough to be a projectile item. On a recent trip–which I will soon have a trip report for, I visited Dubai, Abu Dhabi, and Tokyo for 90,000 miles on a US Airways award. 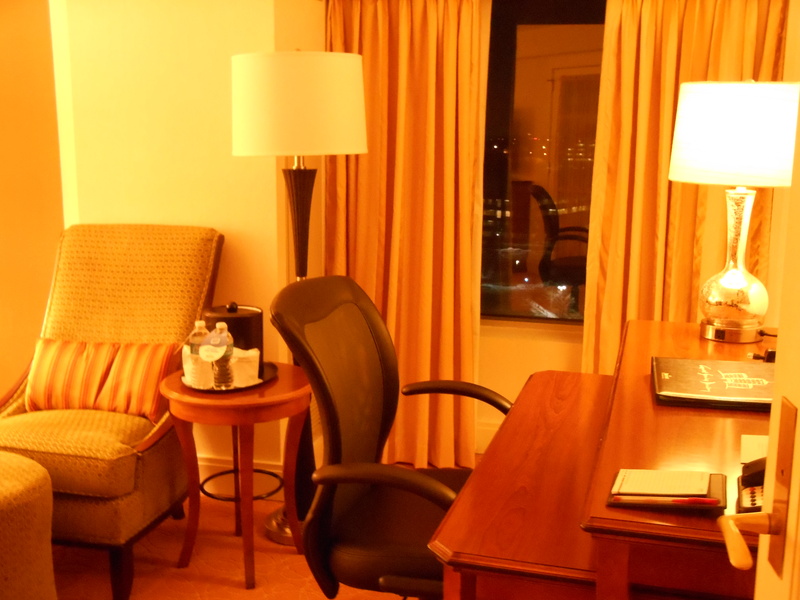 I had two award nights and a suite upgrade to use from signing up for the Hyatt Visa last year. Thus, two of my stays were at Hyatt properties–the first at the Grand Hyatt Dubai, and the latter at the Park Hyatt Tokyo. Yet the customer recognition I received at these two hotels was a world apart. Don’t get me wrong customer service was excellent, and the Japanese are incredibly nice. It’s just that I left the Park Hyatt Tokyo with a sour taste in my mouth when leaving the Park Hyatt Tokyo. Loyalty programs, in my opinion are not about meeting needs, but rewarding customers by going above and beyond. If I perhaps do seem over-entitled, than when given why else would I repeatedly stay with one chain, when given the choice? As many others do, I vote with my wallet, and if I don’t get the response I feel that I deserve, I walk away! 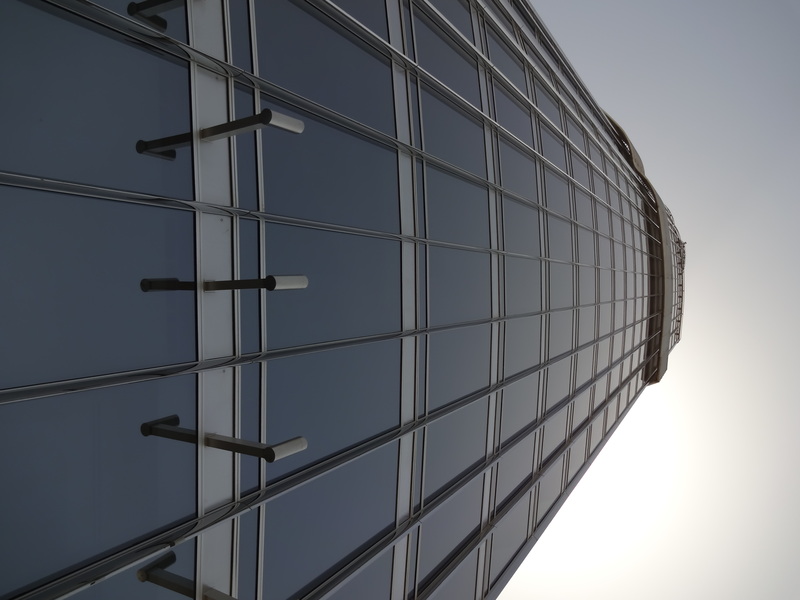 To give Hyatt it’s due, I feel I should describe my great experience at the Grand Hyatt Dubai. At check-in I was informed that I had been upgraded to a Deluxe room, which was rather spacious. And I didn’t even ask! 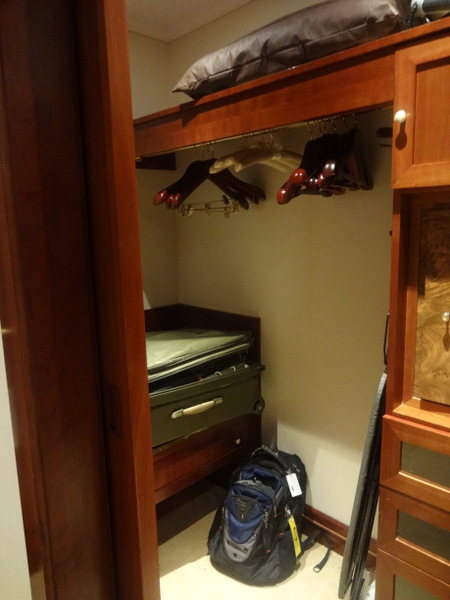 Even the closet was spacious! In stark contrast lies Exhibit B–the Park Hyatt, with its lack of common sense. 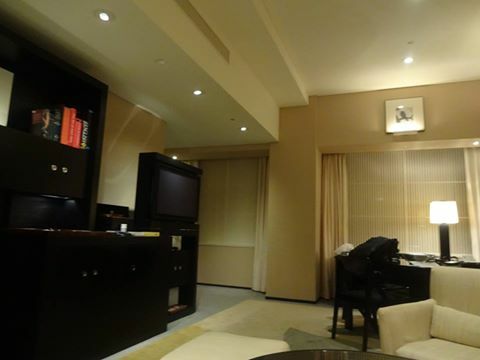 See, I staid at the Park Hyatt Tokyo–regarded as one of the finest hotels in the world. 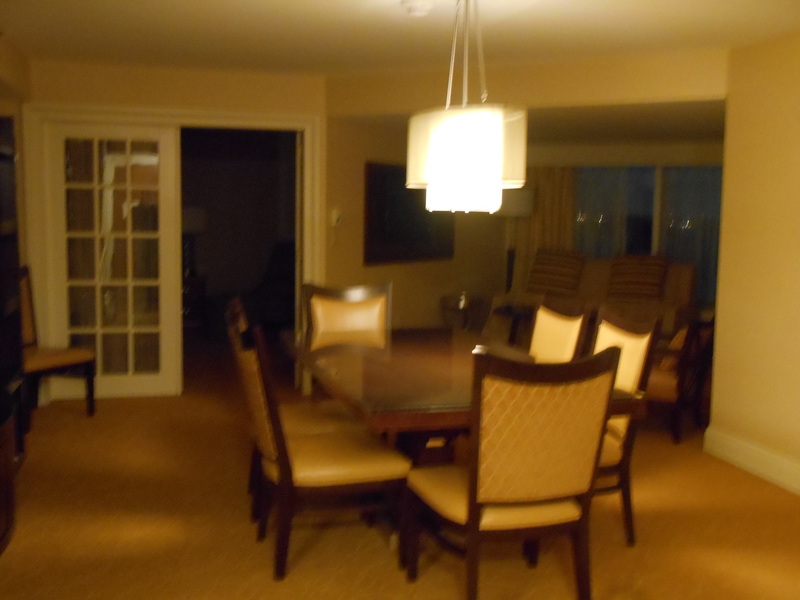 I had an award night to use, in addition to a suite upgrade, which Hyatt allows to be used only on paid stays. Rates were a little pricey (~$420 or so, though normal for Tokyo), but I was willing to pay a premium one night in exchange for the full benefit of the suite. Which, in all fairness, was a rather large room. 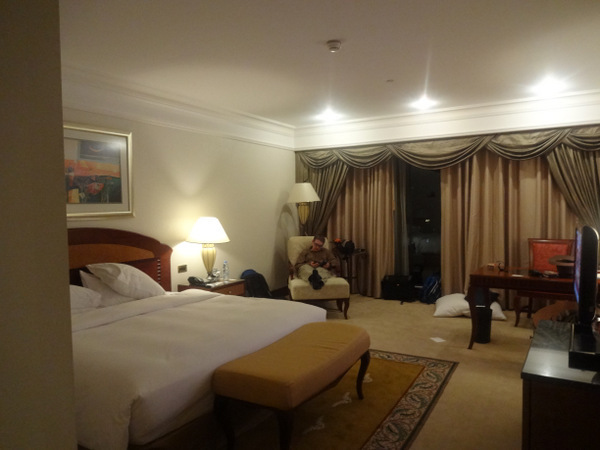 After I used the suite upgrade, I was suddenly dismayed that the suite was only 100 square meters…. That is, until I did the conversion and realized that’s over 1,000 square feet. Large by any standards, and certainly Japanese standards! Anyway, in voting with my wallet for Hyatt, I felt obliged to have Hyatt go above and beyond by allowing me to stay in the suite for my second, award night. But after being checked into the hotel in the suite (which was great!) I was informed there would be an issue in extending my suite experience. I was on a discounted rate already (a whole $30… whooptey do) I would have to pay an additional amount of $300, despite the suite being available. Initially I tried to understood it from the hotel’s perspective, but the more I thought about it this was an egregious offense by the hotel, and one that the hotel, its staff, management, and the entire Hyatt brand should feel ashamed of. 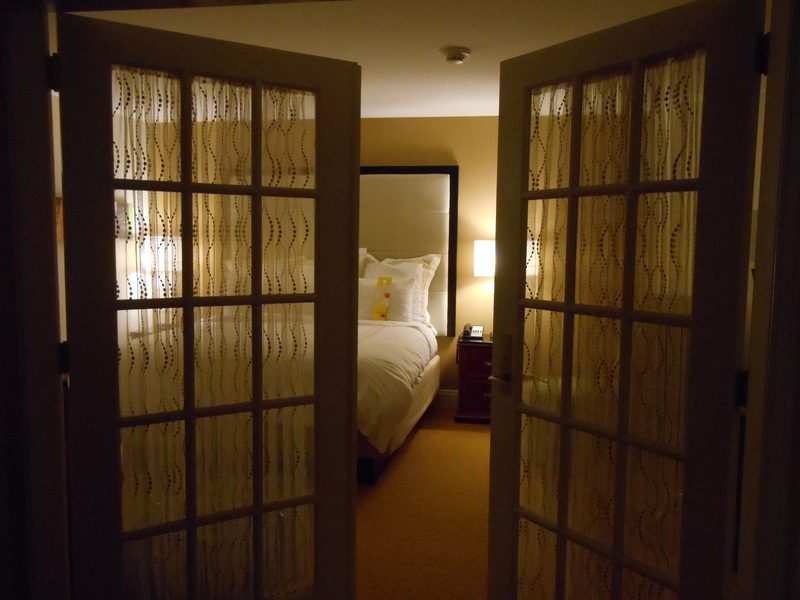 By not allowing me to stay–for free, in the suite for the second night, they were deeming me not important enough, especially when they did not end up selling the suite. I did bargain with the staff a fair amount–and on more than one occasion, and eventually got the fee down to $200. I had trouble justifying that for a single night, especially when I figured I would get little use of the room. I don’t think I was rude, yet their policies resulted in having a down-graded (standard) room the following evening. I am not one to be thankless, but this left me feeling worthless and not welcome. And it’s not like I don’t have clout–what I would call cumulative customer buying power, which I have accrued from having both Platinum status with Hyatt and using their co-branded Visa card. In other words, I’ve vested a large personal interest in Hyatt. Which is where I think Hyatt failed me. In contrast to other loyalty programs, like their competitor Marriott that I love, adore, and hold status with, they allowed simple rules to get in the way of going the extra mile. The suite was available and unoccupied, but they deemed I wasn’t important enough. refuse to do the right thing for me means that I am likely to walk away from the Hyatt brand altogether. I don’t believe you’re important enough to me. And Hyatt, if you happen to be reading this, the only way I am likely to stay loyal to you is if you offer to refund ALL room charges from my stay. Fair enough? After June 30, American Express will no longer allow points advances on credit cards. Up until now, depending on your card type, it was possible to advance between 5,000 and 60,000 points. The advance is 15,000 for Green, Gold, and Premier Rewards Gold cardholders, and 60.000 for Platinum Cardholders. If you do not earn the points back within a year after the points advance, you will be charged for the points you haven’t earned, at a rate of 2.5 cents per point. But is this a good deal? Absolutely! Even if you earn just some of the points back, that would lower the charge, and subsequently lower the rate for purchasing points. The only caveat is that upon requesting a points advance, they must be used toward a redemption, such as transferring to an American Express airline partner. Some good uses include transferring to Singapore (Hello Singapore Suites), Cathay, and ANA. 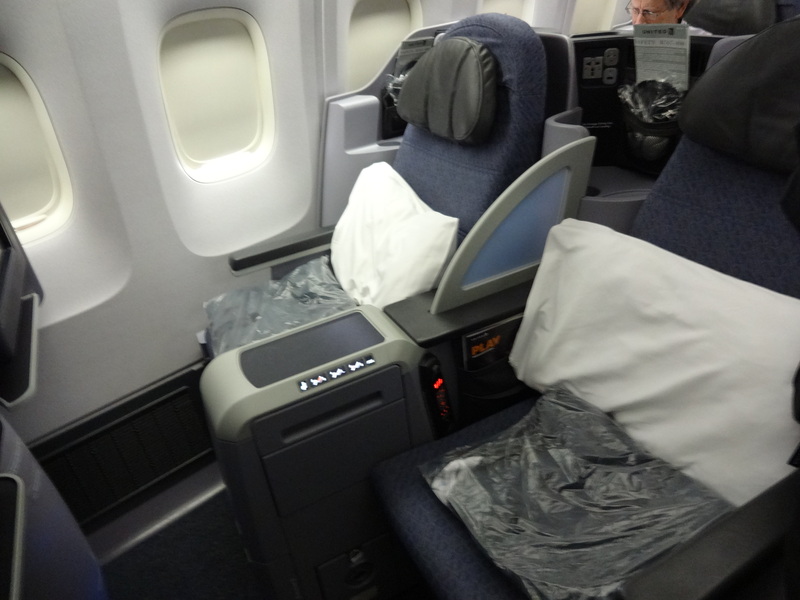 And while Aeroplan miles keep getting devalued, unlike US Airways, they can be used for First Class on Lufthansa, and have an easy-to-use award booking tool. 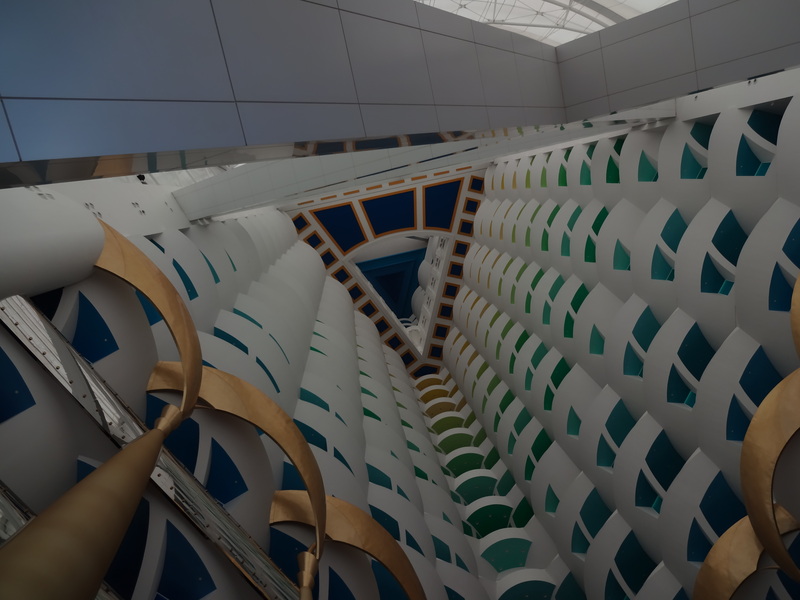 In addition, Membership Rewards points can also be transferred to a number of hotel programs including Best Western, Choice Priveleges, Jumeirah (Burj al Arab!!) and Starwood Preferred Guest. I apologize for my recent lack of postings. Life has been a bit hectic, but I have slowed down a little bit while on my trip. 1) For some of you, this should be fairly easy–what airport am I in? I can tell you it is the home airport for another very-well known blogger. 2) Much harder, where am I headed? If it helps any, there (may) be a couple of right answers. That said, guessing the continent doesn’t count–be specific as possible. 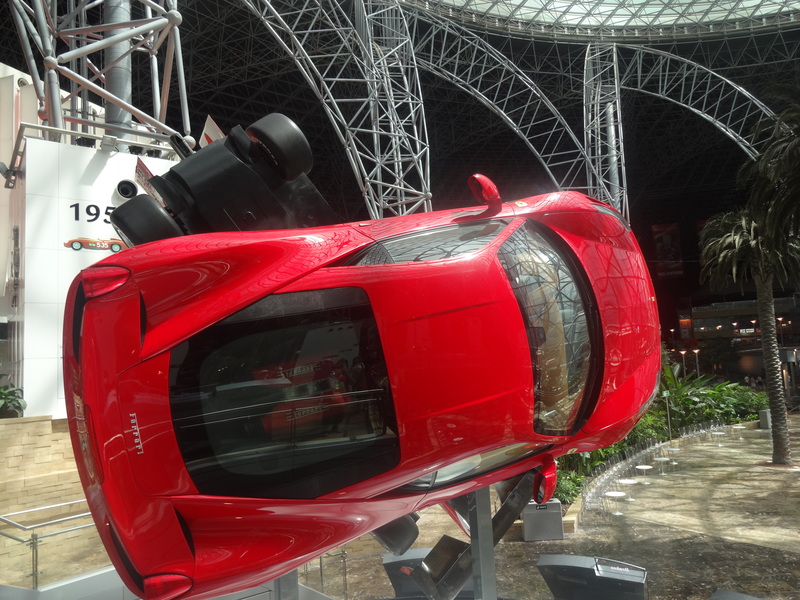 Earn Miles and Points for Speeding? You are driving merrily down the road when the back of your car is lit up with those eery RED and BLUE alternating police lights. TROUBLE!! As it happened, I ended up going to my state’s DMV website while trying to if contesting it would be worth it. While there, I noticed a handy option — pay online! The State of Washington Allows You to Pay Traffic Tickets Online! In the end, I was able to submit online payment via credit card, and a day later I was notified that my payment had been accepted. Ultimately, I was another step closer to completing a spending requirement on my Hyatt Card. This made curious to see if you can you use a credit card to pay traffic tickets in all 50 states, and thus earn points/miles on the payment. Anway, I now (unfortunately) know this is the case in the state of Washington. After some research, and a lot of help from DMV.org, I have compiled a list of how each state accepts credit card payments. 1) There is often a convenience fee: sometimes it is a flat fee, others it is a percentage of your ticket. 2) Most states only accept Visa and MasterCard, although a few also accept Discover. So if you are wanting to to use an American Express, good luck! As thorough as my list may be, it is always best to check with the court who issued the ticket’s payment policies–your mileage (literally) may vary!